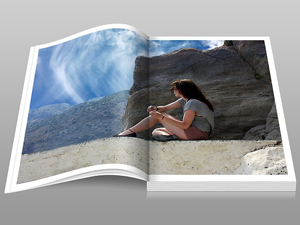 Printing, the art of putting ink on paper…is what SpringDot® has done for 114 years. Based in Cincinnati Ohio, family owned and operated, SpringDot® produces the finest in point of purchase displays, direct mail, brochures, catalogs, and so much more. SpringDot® meets a wide variety of commercial printing needs, whether it's print on demand, national fulfillment & co-packing, or online web to print and job procurement needs. Since SpringDot® founded in 1904, the printing industry has gone through many evolutions. Today, SpringDot® uses the newest and most advanced technology to fulfill their customers’ needs. An array of digital presses, multiple 40 inch sheet fed presses, and specialty finishing equipment help make SpringDot a total one stop solution. As Cincinnati’s 5th largest printing company, SpringDot® has a facility that totals 80,000 square feet of manufacturing and fulfillment space. Out of their 75 employee count, over half have been with the company over 10 years. Specializing in the point of purchase and label markets, SpringDot® prints, packs, and ships to over 2,750 locations around United States every week. With the ability to of quick turnaround, strict quality control, and a passion to exceed the customers’ expectations, SpringDot® continues to make changes and invest in the opportunities their customers and prospects give them. SpringDot's tag line is Energized Communications. This is because we continue to explore and add services that answer our customers' needs in new and creative ways. SpringDot Apparel now provides garments for schools, amusement park lovers, logo driven swag and other innovative ways to spread your name. Our Wide Format Department provides large signage, displays and a series of other fun products for the likes of Kroger, UDF and others.  Energized Direct Mail brings the power of social medial to mailings. Rather than have that one exposure to your mailer, consider the power of having 8 to 12 touches on social media following your targets!